First off, a huge thank you is in order to all runners, crews, families, pacers, volunteers and sponsors for making this years Superior “Fall” Trail Races 100MI, 50MI and 26.2MI so special. This is truly a incredible weekend and we were all a part of that – we are already excited for next year! We ask that you join us, one way or another, as a runner, a volunteer or spectator in 2015! Results are available HEREhttp://results.chronotrack.com/event/results/event/event-10289?lc=en and 100 mile live-tracking “splits” can be found HEREhttp://www.ultralive.net/superior100/webcast.php – *please note that “splits” / in-times are “close” and not exact and may contain some errors or omissions. The expressed goal in implementing a qualifying standard for the first time in the history of the Superior races was to increase the finishers rate and in turn improve the overall experience of the runners – as we all know, Superior is tough and is not a beginners race. Between the qualifying standard and great weather we observed what we believe is the higest ever finishers rate in the 24 year history of the race! 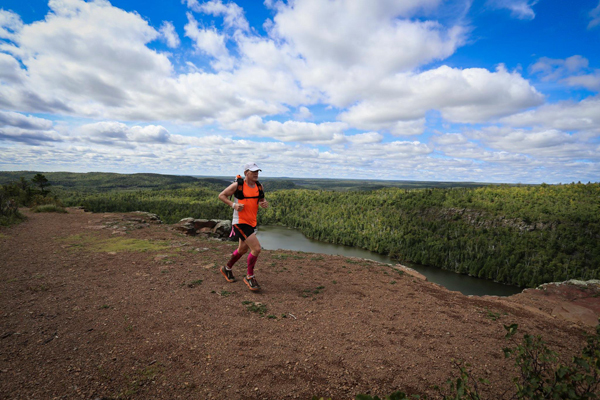 Photos taken by our awesome volunteer photographers are available HEREhttps://www.superiorfalltrailrace.com/photos/ – if you have a gallery to share please send us the link (or share in the comments below), if you do share a gallery with us be sure the permissions are set to “Public” so everyone can see them. We have several race reports from runners, volunteers, crew and pacers up already and they are available HERE https://www.superiorfalltrailrace.com/race-reports/if you have one you would like to share please drop us a line (or share in the comments below). https://www.superiorfalltrailrace.com/testimonials/ – this is an awesome way for us to share your comments with our volunteers as it is direct feedback in response to their efforts!